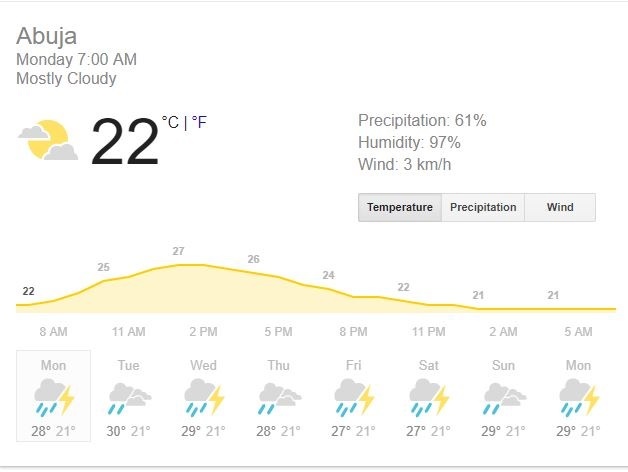 Weather Report For Monday 10.09.18. Good morning Bounce People, hope you had a wonderful weekend. Here is the weather forecast for today. 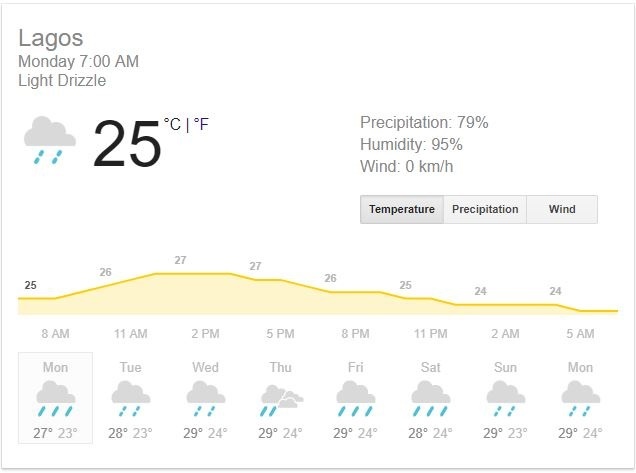 The temperature in Lagos is 25°C, rising to 33°C with clouds in the morning and light rains to be experienced later in the day. Abuja is 19°C, rising to 25°C and the day is going to be mostly cloudy. Ibadan is also expected to rise to 30°C and cloudy all day. 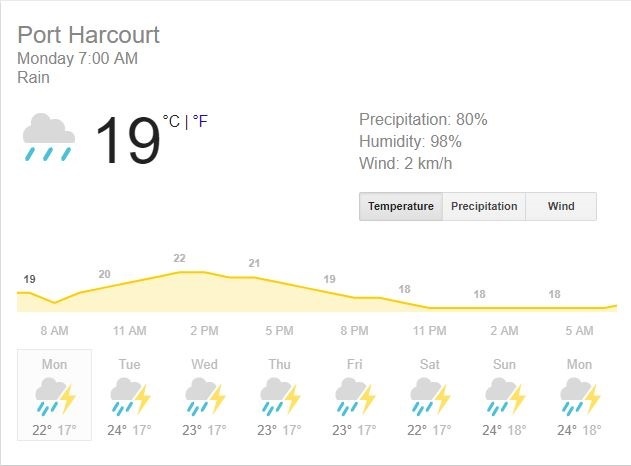 Port Harcourt is 21°C and is expected to rise to 28°C and cloudy through the rest of the day. In Kano, it will be partly sunny in the morning and cloudy through the rest of the day, temperature is 23°C and should rise to 34°C. There should be less rain today than we've had in the past few days so feel free to take on the week. ALSO WATCH - IT'S 3 DAYS TO #60MinutesWithCP - It's that opportunity you have to ask questions about security around your business and your home.